TJ's has 1" and 1¼" Electric fence posts that are UV Protected! Our electric fence posts are UV coated and the coding will last up to 20 plus years! Our Fiberglass product is easy to install, rust free and long-lasting. These electric fence posts come in 2 colors: White and Gray, and have no slivers. 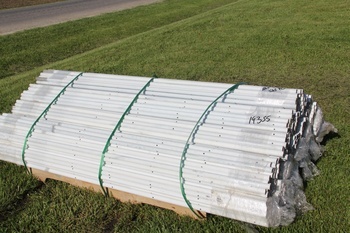 We currently have electric fence posts that are pre-drilled in stock. We have bundle of 50 quantities available.